Age is just a number. As an athlete tends to get older, onlookers tend to believe that they are transitioning out of their prime playing years and are on the decline. Managers are lucky to get a solid six innings out of 35-year-old pitchers. Look at 44-year-old pitcher Bartolo Colon. In his last three starts, he’s allowed 16 runs. Houston Astros right-hander and seven-time All-Star Justin Verlander has completely defied time. He’s off to an unbelievable 11-6 season, with a 2.19 ERA. This is accredited to an effective four-seamer that has rising action and consistently produces swing and misses. Velocity hasn’t dropped one bit, floating in the mid-90s’. In comparison to other pitchers, Verlander’s fastball generates more flyballs. His slider is his secondary pitch and thrown quite hard, averaging in the upper 80’s. Its similar to his rising four-seamer since it induces numerous flyballs. Verlander knows to trust his All-Star defense behind him in Altuve and Springer. Below is his outstanding highlight reel from this season. The last time we witnessed Verlander’s ERA below 3 was back in his glory days with the Detroit Tigers in 2012. In 2012, he went 17-8 with his 2.64 ERA, fanning 239 helpless batters. Verlander owned the mound and he let Los Angeles fans know it. He did not let up from the gas since last years meeting in the World Series. Last night, Verlander had a strong command of the fastball and made batters just stare. The curveball had scents of rotten milk it was that nasty, making Max Muncy swing out of his shoes. He fanned 14 batters in 7 2/3 innings before allowing closer Hector Rendon finish off the job. 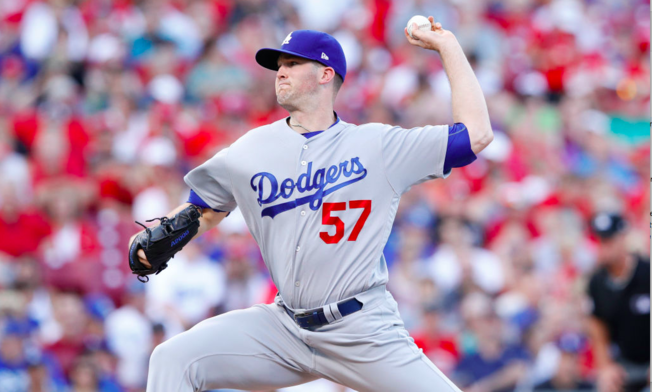 The Dodgers looked powerless on their home field, amassing a mere four hits. Though its tough to compete against Verlander, the Dodgers must learn to face elite pitching. The wildly inconsistent offensive spurts and slumps have got to come to an end for this expected playoff team. To cap off their series against the Brewers, the Dodgers pounded out 21 runs. Before that, it took seven games combined to even score 21 runs. It all starts with focusing on baseball hitting fundamentals, having a specific approach to every at-bat. Studying starting pitchers before games can be the edge one needs to get a walk-off single. Working with hitting coach Turner Ward and taking extra repetitions after practice will be strongly beneficial. The Dodgers will look to bounce back tonight against the Astros behind right-handed pitcher Kenta Maeda who will face off against Lance McCullers Jr. So did Houston. We just can’t score runs consistently. Schizophrenia, but Verlander is very good. Last year, we got Yu and lost. They got Verlander and won. The Astros didn’t have their two best players in their line up. Altuve and Correa are out on the DL now, so don’t put to much in that the Astros didn’t score many runs. Brewers last starter, we faced. Most of the players on this team had saw that starter often, when he was with the Padres. And the Brewers manager didn’t waste any of his good relievers in that game. And we can’t bring up Corey being out, because we have Manny in our line up. And we were very lucky to score that one run, because that was more a pop up then anything and that is why they are calling that rare. It probably won’t happen again, because it wasn’t a HR swing in that sense. That is why YF and I, wanted Verlander, he is a gamer. He often gains velocity as he pitches. We better beat McCullers tonight. Wood and the ‘pen did well to boot. McCullers is good too, will be a challenge.